We Buy Houses in Lompoc FAST Regardless of the Condition, Price Range, or Location! Are you looking to sell your house in Lompoc as soon as possible? Would you like to see a check in your hand as quick as 7 days? We buy houses in Lompoc quick, so when you’re ready to sell, we’re ready to make a fair cash offer and close on it. Struggling To Sell Your Lompoc, California House? If you need to move quickly, we can close as quickly as 7 days because we buy houses in Lompoc, CA with cash, rather than relying on banks. You’ll feel better knowing that we will take care of it for you. If you’d like to speak to someone in our office first, give us a call today at 805 870 5749. Selling FSBO takes work and time, but can save you some money. If you’re not in a rush, are familiar with the process of selling real estate, and your house is in great shape this might be a good choice for you. If your selling your house to a retail buyer, expect that people will be nit picky about your house, especially in Lompoc. If your property is in need of some work, you need to sell quickly, or just want an easy transaction selling to a “we buy houses in Lompoc” company is the way to go. Selling to a cash buyer is by far the easiest way to sell a property. Cash buyers are experienced, and can usually close quickly, without inspections and appraisals. Additionally, cash house buyers are not like retail buyers. Retail buyers are pickier, and require inspections, appraisals (sometimes 2 appraisals) and more time. Important to note that cash house buyers rarely can pay full market value for your property. Pros: Selling to a “we buy houses in Lompoc” company can get you a faster close using cash. No waiting on banks. Less inspections and no appraisals. No back end fees, and sell “as-is” without putting one penny into fixing the place up. If you’ve been waiting for an offer so you can sell your Lompoc home fast, you need to complete our form below. 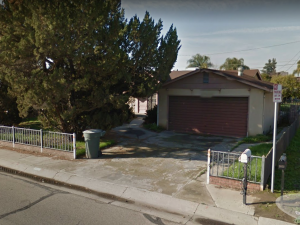 Most of the “Sell My House Fast Lompoc” or “We Buy Houses In Lompoc Cash” companies only offer you a low cash offer, and not surprisingly, many simply do not have the cash to close at the time they make you an offer. Quick Home Offers works differently by understanding your situation and needs. We craft our offers around people, not properties. We go out of our way to best accommodate people, and go further than any other “Sell My House Fast Lompoc As Is” and “We Buy Houses In Lompoc” companies. Whether your house (in Lompoc or any other part of CA) is in good or bad shape does not matter.